The yeshiva is currently celebrating its 25th anniversary, and the structure will be the largest building ever built in Itamar. The crane will be stationed in the community for up to six months, and the new building's construction will be completed in about a year from now. Itamar project manager Aryeh Goldberger said: "We see the school that's taking shape - the Itamar education complex that joins a series of permanent homes of the yeshiva gedolah, and we're completing the educational complex with additional study halls for the community, boarding schools, and more." Chitzim Yeshiva director Yehoshua Sherman added, "There's great excitement in dealing with education and building the country - two values ​​that we're active in every day. We at Chitzim feel part of Itamar and are happy to be groundbreaking in the field of public construction in the community. The structure of the classrooms, which are being built in cooperation with the Samaria Regional Council, is the largest public building in the community, and is added to the large educational campus we're building. The yeshiva is growing and developing both physically and in terms of education." 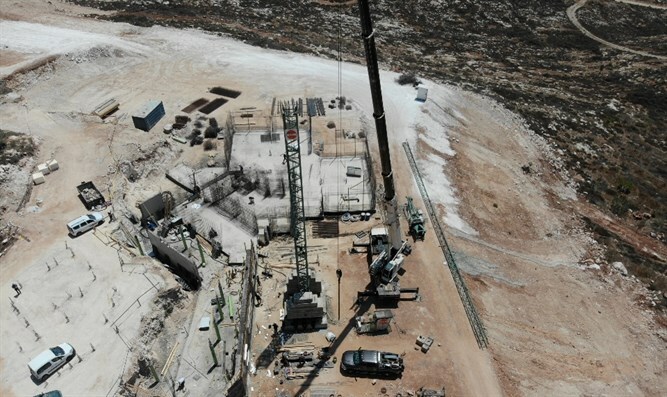 Itamar Mayor Hananel Elkayam welcomed the construction. "The village continues to grow, and with it the educational institutions that are developing to meet the wide demand and to absorb new students in the community."